The Classic Game of Intelligent Moves! 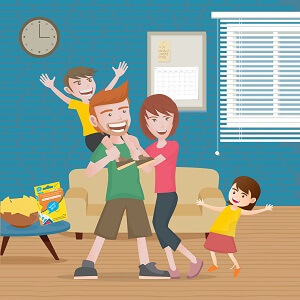 The Game with On-the-Edge Thrill! The Game of Quick Thinking and Action! Need for birthday return gifts? Make words using cards in hand. Be the first player to get rid of all your cards in each round. Record points for the cards your opponents are left holding. Points in each round accumulate and the first player to reach 100 points loses the game. At this stage, the player who has accumulated least number of points wins the game. Shuffle and distribute 7 cards to each player. Keep remaining cards face down to form a DRAW pile. Place one card face up to begin a DISCARD pile. Player on the left of the dealer gets the first turn. On each turn, players perform ONE ACTION, either discard cards OR draw a card. (Exception: see ZAP Cards section). 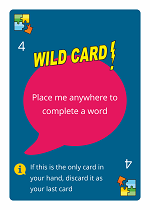 Discard Cards Action: On your turn, you make a word (see difficulty levels below) from cards in hand and discard the word forming cards in the DISCARD pile. The last letter of the word must be the topmost card in the DISCARD pile. Example: If you make a word ‘GLOW’, you discard four cards (G, L, O, W) with ‘W’ being the topmost card in the DISCARD pile. In this example, since you made a 4 letter word and discarded 4 out of 7 cards, you will be left with 3 cards in hand until your next turn. 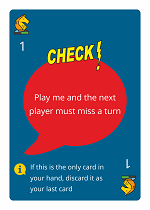 Draw Card Action: On your turn, if you cannot make a word from cards in hand, you must draw one card – either from the DRAW pile or the topmost card in the DISCARD pile. The turn then passes to the next player. 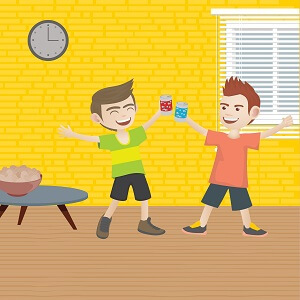 The game progresses in clockwise direction. Play continues until a player gets rid of all cards in hand. The first player to get rid of all the cards in hand, wins the round. The game is set of rounds. The rounds continue until the game winning criteria is met (see scoring section). At the end of each round, record points for the cards players are left holding. The points are mentioned on each card. Winner of each round will have all cards discarded and hence will have zero points. Points in each round accumulate and the first player to reach 100 points loses the game. At this stage, the player who has accumulated least number of points is the winner. Players can make English words only. Proper nouns, plurals, acronyms, abbreviations, slangs are not allowed. Each time a player makes a word scoring 10+ points, all other players must draw one card each from the DRAW pile. Players are not allowed to pick any Zap Card from the DISCARD pile. 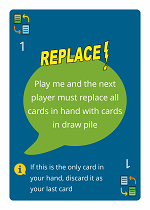 When the game begins, if the first card face-up in the DISCARD pile is a Zap Card, replace the card with a Letter Card in the DRAW pile. Players are not allowed to refer to any form of dictionary during the game play, except when challenged. Any player can challenge a word. If the word is found to be bogus, the defaulter takes back the discarded word and draws 2 cards from the DRAW pile as penalty. When a word is challenged, the source to refer is a standard English dictionary. This card can be used as any letter to complete a word. Example: A - R - O - Wild Card – A. In this example, Wild Card is used as ‘M’ to make AROMA. 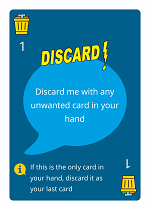 Play this card to get rid of any unwanted card in hand. You must discard this card first followed by any unwanted card in the same turn. Example: If you want to get rid of “Q’ in your hand, throw the DISCARD card first and then ‘Q’ on top of it. When you play this card, the next player must replace all the cards in hand with the same number of cards in the DRAW pile in his turn. When you play this card, the next player must take 2 turns together. 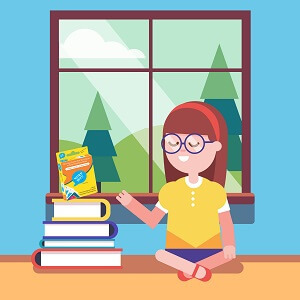 For example, the next player may draw two cards from DRAW pile or may discard two words or may discard one word and draw one card from the DRAW pile. 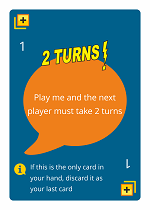 Note: If the next player also has a 2 TURNS card, the player next to him/her must take 4 turns together. When you play this card, the next player misses a turn. If any of the Zap Cards is the only card left in your hand, you can discard it as the last card to win the round. Note: The words given on Letter Cards are for information and to improve vocabulary.